Thank you for visiting our website. 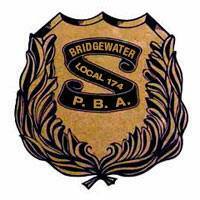 The Bridgewater Township Police Department was established in July 1965, and the PBA in 1967. We currently have 75 sworn officers assigned to the department. We take great pride in serving approximately 250,000 people a day, (this includes residents, business owners, and all who travel through Bridgewater Township), and patrol an area of over 34 square miles. The members of PBA 174 take an active role in the community. Each year we raise money for the NJ Special Olympics by participating in the Annual Torch Run. We also assist in setting up funds for those in need and less fortunate. In addition we support scholarship funds. The PBA, with the assistance from the Township Administration and Police Department, has established a Police Honor Guard. The Honor Guard serves at funeral details and ceremonial functions. The PBA has members who participate in the Annual Police Unity Tour. This tour raises money to help maintain the Law Enforcement Police Memorial in Washington, DC, a memorial dedicated to fallen police officers. This site was made possible through the hard work and dedication of its members. We hope that you will find the website interesting and informative. We will continue to update this site to keep you, the public, informed.